Wow. I really liked this podcast. It was outstanding, the quality of sound, the storyline and presentation were great. I’ve been following your podcast since episode one, I think this is one of the best! The Final war was great also. I love the blues and greens Skit at the beginning by the Lesser Bonapartes! ﻿As always it was a quality episode Robin. Thanks for the plug! The tagmata (excuse my spelling) are interesting to me – the idea of an elite army unit intended to be controlled personally by the emperor alone seems like a stark repudiation of imperial policy vis a vis personal command. 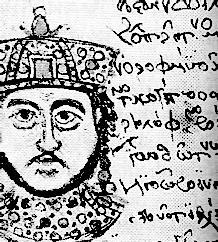 Was this change rooted in Leo’s military record, Constantine’s own talents, or just the obsekions talent for duplicity? I would love some clarification on this strategic choice. Hi Greg, can you confirm which Imperial policy vis a vis personal command you’re thinking of? 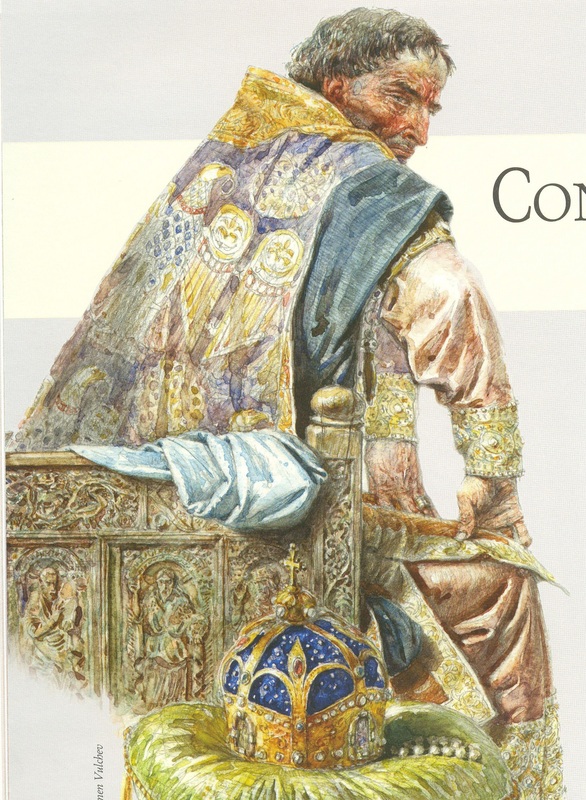 Also remember that any answer I give you will be speculation 🙂 Our historians for this period are united in bias against Constantine and don’t elaborate on his motives for particular military decisions. 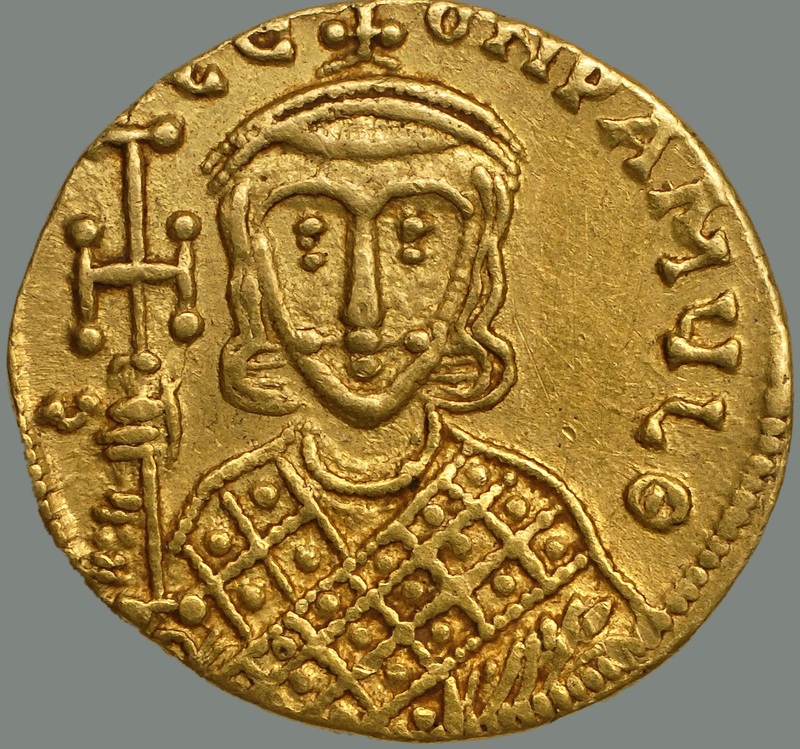 In particular I’m thinking of the precedent that the emperor stays in Constantinople, Heraclius not withstanding. For example, Maurice was a highly competent general who nevertheless stayed in the capital throughout his reign. I guess the precedent has been weakened with the Heraclians going all over the place, but I do remember you saying that the emperor generally stayed home once he got the throne. Constantine establishing an army that was intended to be lead specifically by the emperor seems like a departure from that. Also, speculation is always welcome! A story I never got to was Maurice deciding to resume command personally and then abandoning the idea. But you’re right that was the precedent but unfortunately the Heraclius-Phocas civil war destroyed the peaceful transition of power and it never returned. So Heraclius led the army in person for fear of a General turning on him and Constantine V probably felt the same. I don’t think the Tagmata were designed to be led only be the Emperor though. I’m sure a subordinate commander could be appointed. However the idea would be that that General would only lead for one campaign at a time and wouldn’t be able to build up a power base. Well that makes a lot of sense. Thanks for clearing it up. It’s sometimes hard for me to grasp just how much has changed since the beginning of your podcast, with Rome devolving from The Civilized World to a rump state stubbornly clinging on in the face of insurmountable enemies coming at them from all sides. I know it’s bad history, but the hugely different circumstances faced by the Byzantines do seem to warrant a different historiographical term from the Romans of late antiquity, especially when Islam comes along. Agreed, it is helpful to distinguish them. And yes we always have to remember how much time is passing. 150 years have elapsed between Maurice and Constantine V! Well done. I have just finished your last podacast. I have statred to listen to you in January then left you in February to listen to the history of Rome (on your advice) then came back to you to complete the story and as I mentioned above I have just finished your last podcast. I thoroughly enjoyed the way you and Mike made your podacasts and I have learnt a lot from both of you. The most important point is that your faiths did affect your narations and that you try to be neutral historians as much as possible, obviously you cannot be completely neutral with your Roman identity inheritance that you explained when you were discussing the Byzantium identity. However, if you do not mind, I wish to correct a few facts that you have put in your podcast. I do not know why you have not seeked to get a reference from one of the Arabs to talk about these facts and give you advice on what Arabic sources, that has been translated to English, you can use. I was not impressed when you asked Tom Holland, who admitted that he does not even speak Arabic to explain things. > Abdul Malik was not a companion and is considered by many Muslims not to be a good pious person, so no way he would or should be considered the founder of Islam. And yes he used to pay money to all his fighting enemies until he turns back to fight them again. > Islam never recommends taxes to be taken from people, except when Abdul Malik came and he strated this practice. So to correct the information that Arabs came to the Roman Empire and the Persian Empire and started to collect taxes is wrong. They used to get donations from Muslims and Jezya (£1/year from powerful men in the newly occupied land) + all war spoils which was really imensive. Once more I praise you and Mike for the excellent work and I am waiting for your new podcast. Is it too late to ask a question of an earlier century ? How many words did you write thus far? …but was this the reason that the artist who drew the picture above depicted himas if sitting on, ahem, the other sort of throne and contemplating the evils of constipation? Every time I check the page for an update and see this picture, it’s the first thing that springs to my mind. I need help, I know. 🙂 someone had to go there I guess. I think the artist was trying to convey someone who is both battle hardened and zealous enough to persecute for his religious beliefs. The latter part is probably not really true. Robin man, I’m jonesing for an episode. Each Sunday without one makes me sadder and sadder. I hate to bother, but can we expect another episode? Same here. I know how much time-consuming work goes into these episodes but that doeasn’t make the wait any easier. The tagmata seem to be Constantine’s Schutzstaffel (SS). could you comment that fact and in a whale communications between Konstantin and Pipin. Weren’t the wanted to jointly conquer Langobards and share the Italy? its been a while since I researched this period. But there were discussions between Frankish Kings and the Emperors across the period 700-1000 which rarely came to anything. They would both have liked to put an end to Muslim attacks but could never agree on a fully-fledged joint campaign.